Share your golf course reviews and those of other Supreme Golf users in addition to reviews from GolfAdvisor, GolfHub, GolfLink and Yelp. Instant Booking allows you to book tee times for Golf Now, TeeOff by the PGA Tour, and Golf18 Network without leaving Supreme Golf. Plus, you can view past and future reservations in your Supreme Golf account. 3. Book your tee time and head to the course. 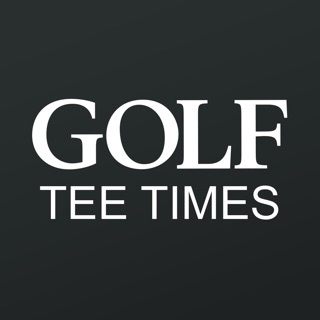 We are adding new tee time and golf deal websites every day. If you don't see a provider you use or a course you play, let us know! From what I can tell, it has all the tee times from all the major providers (TeeOff, Golf18, and GolfNow of course), listed in one place. The amount of tee times Supreme offers is far greater than I’ve seen anywhere else (because the aggregate everyone else). It’s like they’re Kayak, and everyone else is Marriott, Hilton, or Hyatt. Plus the on the course features are a great additional benefit. I’ve found the GPS to be within a yard or two when I compare it to my Bushnell. And the scoring system allows you to handicap games and matches. Simply put, if I could only have one golf app on my phone, it’d be Supreme my a mile. SO much better than the others (aka golf now). I love that they offer ALL available courses, instead of just the ones affiliated with the other apps. They offer more tee times, and deals at more courses than all other tee time booking sites combined. So instead of checking multiple sites and/or apps, I can just go to one place (and save more money too). It’s like the kayak/Expedia/Priceline, etc for golf. Clearly any negative reviews are just folks affiliated with the inferior competitors. Trust me, try it & you'll never use any other booking app again Ever! So the initial banner page for the courses show a good, low price. Then you click on it, expecting to see that exact low price, but that price can’t be found anywhere. Not only that, there is no option for the App to show you where it found that low price that it’s displaying, nor in the order of the lowest prices regardless of the date or time showing that exact low price. The banner photo attached to the course description is also not the photo of the exact course. That is wickedly lazy and misleading. It claims to search all the prices from all these sites, so why not display that right away so we know which ones we have to deal with when we book it or get to the course.